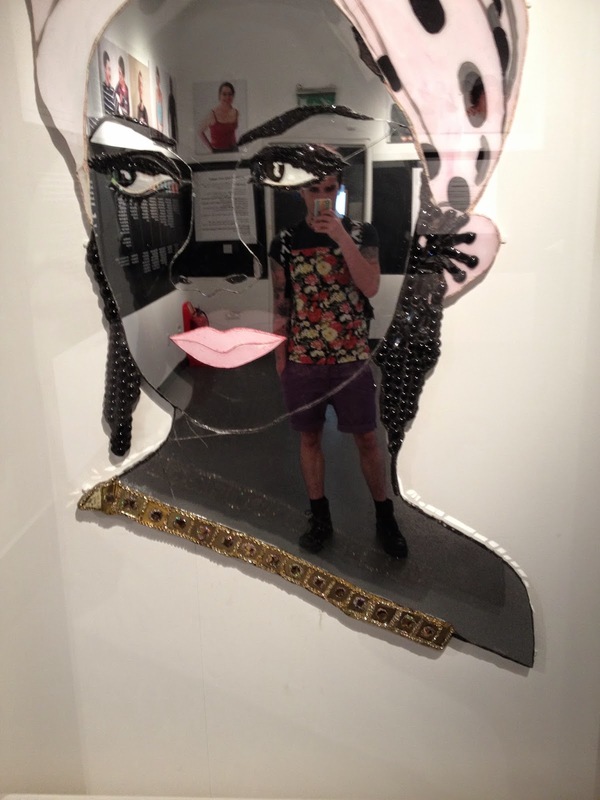 The Museum of Transology, curated by my dear friend and all round genius E-J Scott, is currently on at the Fashion Space Gallery until 22nd April, and is one of the best exhibitions I’ve ever clapped eyes on. I’m so over Trans narratives being sensationalised, othered and shown purely as before/after stories, MoT is a refreshing move away from that, where trans people tell their own stories through the labels they attach to the objects they have donated. The objects range from the sublime to the ridiculous; the obvious, the powerful, the bodily and the heartbreaking, to the banal and downright boring- and herein lies the genius of the exhibition; trans lives can be just as bureaucratic, just as tedious, just as everyday as cis lives- and presented here in such a beautifully designed and curated space, with stories told by and with the fair hands of the people whose stories they are, comes a lesson to all curators. Nothing about us without us is a bit of a tired saying now, but it holds true, regardless the content of the exhibition, it will always be engaging, warm, funny and moving, if its subjects are involved from the very beginning, and given complete agency in choosing how their stories are included, shared and interpreted. The beauty of MoT is in its simplicity, in its heart, and in its boldness of telling a cacophonous series of narratives from a community that is wildly varied and anything but homogenous. At no point does MoT attempt to tell a singular trans narrative, and this is largely because who better to tell us that no such thing exists, but the trans community themselves. I’m very proud of E-J and everyone involved, and think that this exhibition should, and must, mark a cultural shift for those of us in the museum sector who want our practice to be more thoughtful, more socially just and accessible, and to genuinely move conversations forward. I’m also really delighted to say I’ll be speaking on a panel about identifying, collecting and preserving trans and queer histories as part of the series of events supporting the exhibition. It’s called Trancestory: Now you see it, now you don’t, and it takes place on 9th March at 7pm. For more info and to book, visit this page. Twilight People: stories of gender and faith beyond the binary is now up and running at Islington Museum. Curating narratives of people with marginalised identities presents a series of challenges, especially when those people have intersecting marginalised identities. Alongside those challenges come great opportunities for transformative and radical curating; for subliminal activism that can educate, enlighten and wave the flag for pride, and for social justice. In Twilight People two worlds meet in a peaceful and powerful crescendo, that challenges and undoes the notion that trans and gender nonconforming identities are inherently at odds with faith, and that indeed gender identities can be affirmed, discovered and renewed through religion, and that religious identities too can be reinvented, strengthened and celebrated through gender diversity. Twilight seemingly represents an in-between place, but this exhibition aims to show that a trans journey is not necessarily about a start point and a finish point, a before and after, but rather that the transformative moment of Twilight can indeed be the destination itself. Curators have a great responsibility. In highlighting the fluid and non-binary natures of faith and gender identities, it is essential to allow the subjects of the exhibition to have their voices at the forefront of the exhibition. Oral history allows this, and museums and archives are increasingly realising that aside from being interesting and engaging sources of his-and-herstory, that oral histories serve a political purpose in filling in the gaps in historical records that so often exclude diverse voices. The theme of Twilight People is Body and Ritual. My own expectations of the stories we collected, and the beautiful portraits, were that they would highlight the trans body, and the ritual of faith, but they also uncover bodies of faith and rituals of gender. The subjects of the exhibition are not merely subjects, through their generous participation and sharing, they are stakeholders of an important landmark in queer exhibitions, co-curators, activists and educators. A huge thanks to everyone who worked on the project, but especially to the pioneering Surat-Shaan Knan, who is breaking ground with every project he embarks upon (also, highly recommend Through a Queer Lens at the Jewish Museum which he and Ajamu collaborated on). I had the pleasure of listening to Surat-Shaan’s oral history in full and feel privileged to have heard it, one of my favourite moments is when he is discussing the intersection between his Jewishness and his gender identity, and he says “it couldn’t be one or the other, it had to be both”, which I thought beautifully captured the exhibition for me (and inspired the title to this blog post!). Massive thanks also to Charlotte Kingston, the lead curator, from whom I’ve learnt so much, both about curating, and about how to be an amazing ally. Huge love to both! The exhibition runs until the 5th of March, I hope you are as moved, enlightened and excited by these stories and images as I have been. 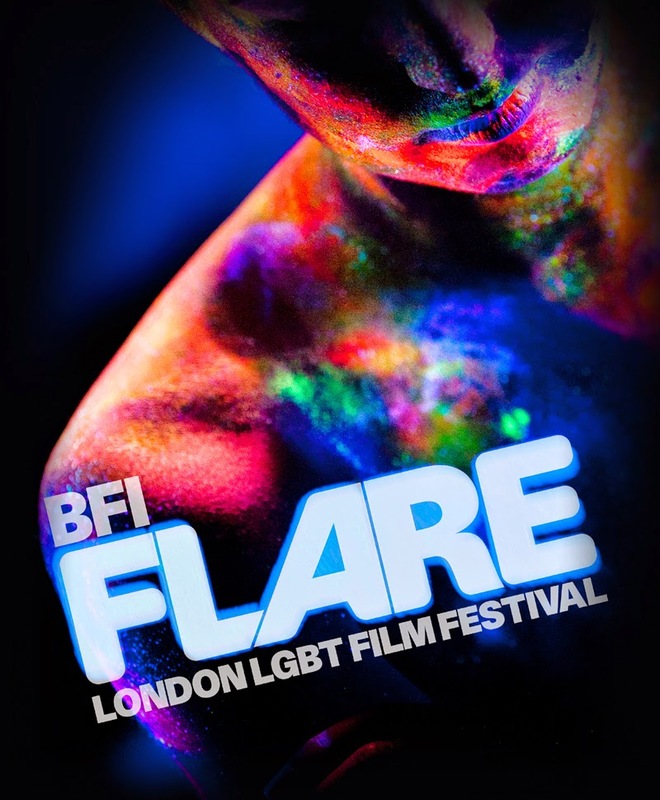 The BFI Flare festival is over, and I just thought I’d plug a few of my favourite films that I saw. I saw this film at the BFI London Film Festival in Late 2014, and I’m pleased I got to see it again, it stars Saga Becker (who won best actress at the Guldbaggegalan 2015 awards ceremony, becoming the first trans woman to do so) as a non-binary trans person. It’s empowering and beautiful, and along with other lead Iggy Malmborg, the acting is phenomenal. Becker’s portrayal of Sebastian/Ellie is one of the most relatable characters I’ve ever seen in a film. It’s a triumph and is hitting UK cinemas in April, so make sure you check it out. This was a particularly topical documentary given how gentrification in East London and beyond are seeing the closure of many queer venues, including the Joiners Arms. This film looks at the Starlite, the oldest gay bar in Brooklyn that was particularly important as it offered a safe space and community for LGBTQ people of colour. The building that housed the Starlite was bought without them knowing, and the film deals with the campaign to save it, as well as documenting the community that has been built there, and the legacy of the venue. It’s a very moving film with an excellent soundtrack and documents a really important part of black LGBTQ culture. This was the huge surprise of the festival for me. I knew nothing about Roller Derby, and frankly wasn’t that interested, but the film is about more than sport, it’s about the power of a community that values respect, kindness and warmth. The film is framed around the story of a ten year old trans girl called Crystal, whose mother reaches out to Roller Derby collective Vagine Regime, after Crystal is no longer allowed to participate in team sports at her school, because of the staff’s discomfort and inability to deal with a trans student. The Vagine Regime, who are a queer international community, raise money to help Crystal attend a Roller Derby camp, where she can play with girls her own age for the first time. I balled happy tears for so much of the film, it’s so positive to see what a beautiful thing the queer community is when you see it depicted so carefully on a big screen. The trailer is perhaps a bit deceptively bleak, but alongside the sad stories of suffering, is an overwhelming sense of hope and positivity. We were lucky enough to meet the director Erica Tremblay, who is a complete babe and super humble, and seems genuinely overwhelmed with how well the film is being received. It’s a definite must see. The Last Time I Saw Richard – Trailer from Nicholas Verso on Vimeo. My favourite thing about BFI Flare is what a lovely space the BFI becomes for a fortnight. It’s like a glimpse of what a lovely, safe and respectful queer utopia looks like. Twilight People: Stories of faith and gender beyond the binary – volunteer opportunity! Last week, the steering committee for Twilight People: Stories of faith and gender beyond the binary met for the first time. I was delighted to be invited to be part of this amazing project as exhibition co-curator and steering committee member by Surat-Shaan, who is the project leader following the really successful Rainbow Jews project. This is a groundbreaking new oral history project, recording and showcasing for the first time in the UK the stories and experiences of transgender and gender variant people of faith. Throughout the project there will be loads of volunteering opportunities including archive researchers, transcribers, sound/video editors, video/photographers, admin support, exhibition curators, youth forum members, media/social media volunteers and many other roles. The first roles we need to fill are the Oral History Interviewers. Oral history is about recording people’s memories using the medium of sound and video. This can be used as a tool for understanding the recent past, and enables people who have been hidden from history to be heard and the communities they represent. To carry out oral history interviews with trans* people of faith, using a topic guide (i.e.. a list of prepared questions) which will be created as part of the course. Each interview will last approximately 1.5 hours. This may also involve travelling to various parts of the UK to interview participants, but all expenses will be covered, and travelling outside of London is completely negotiable. In order to carry out the oral history interviewer role, you’ll need: an interest in LGBT history; literacy skills; organisational skills; to demonstrate an interest in equality/diversity and religion/spirituality; to be able (with training) to use recording equipment; to be able to travel in order to interview. In order to be able to take part in the project, you must be available for training, which will be on 19 April 2015, daytime, (tbc) Central London. Volunteering period: a minimum of 6 months. The amount of hours you wish to volunteer are negotiable, from a minimum of 5 days commitment. Please share this call for volunteers widely, you can email me at scurran@ioe.ac.uk if you want the PDF of the flyer and the full role details. 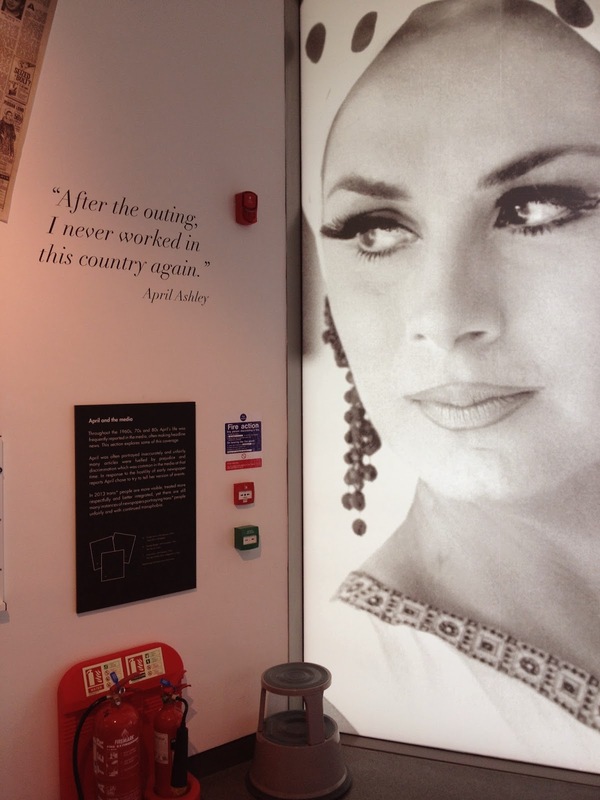 Last week I visited Liverpool and finally got to see the April Ashley: portrait of a lady exhibition at the Museum of Liverpool. 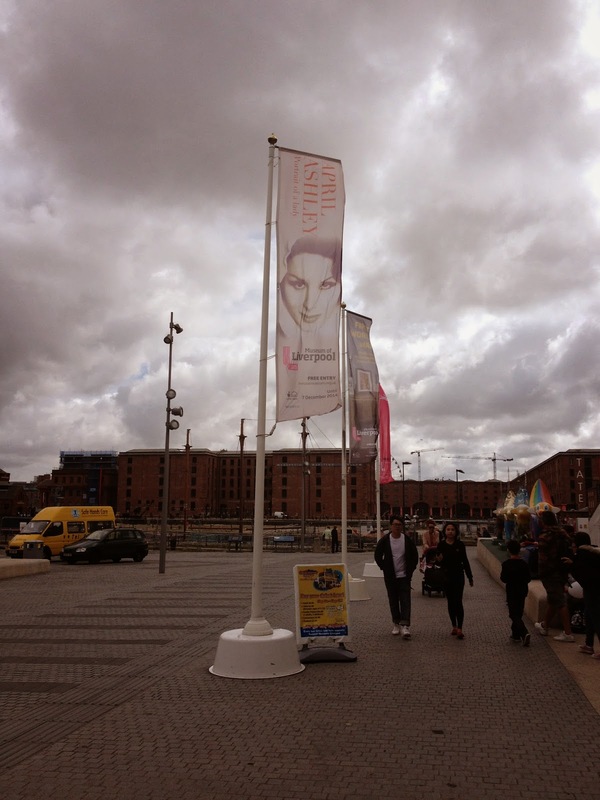 The year long exhibition (running until 21st September 2014 update: extended until 7th December) was co-curated by Homotopia and funded by HLF. It’s focus is on the life of April Ashley, but is shaped around a timeline that charts the developments nationally and in the US for trans* people more generally. 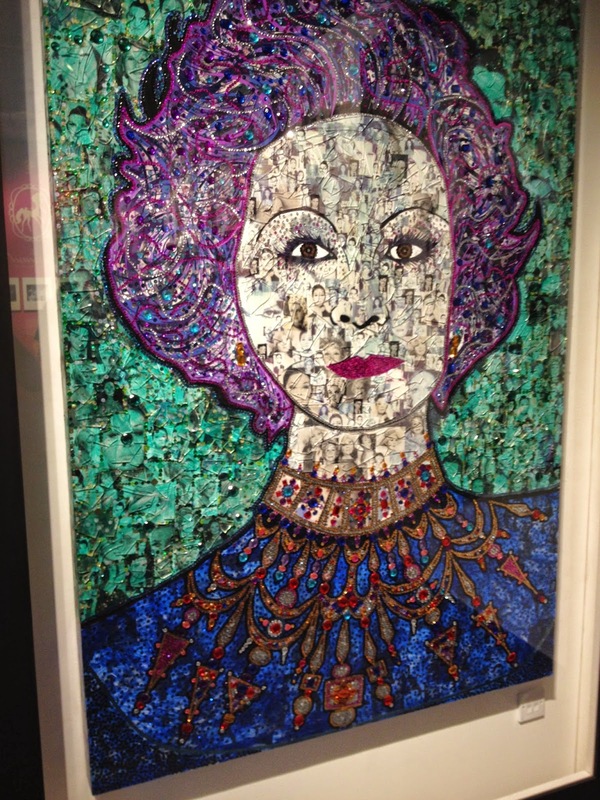 April, who is now 79, was born in Liverpool and moved to Paris in the 1950s where she started transitioning. She is one of the first people from the UK to undergo gender reassignment surgery, and was famously ‘outed’ by the Sunday People in 1961 with the headline ”Her’ secret is out’, after which she struggled to work again in the UK, where formerly she had modelled for such publications as Vogue. A mainstay in British headlines since then, Ashley has become a highly regarded activist for trans* issues. The exhibition is quite small, and occupies an interesting space overlooking the rather ugly sweeping staircase, but as such, it attracts visitors who might otherwise have avoided or not been interested in it, as it is not really a separate space from the main flow of the museum. There were a surprising number of families with young children at the exhibition when I was there. Alongside the ephemera from Ashley’s life and some original artworks, is an interactive screen from which you can listen to oral histories from a variety of trans* people. I only listened to snippets from two of them (I wasn’t overly keen on the interactive thing), but you can read them here, and listen to a few here. The most interesting part of the exhibition for me, was the recreated cabaret stage area, which was paying homage to Le Carousel in Paris, where many gender variant people found refuge and worked as performers in the 50s and 60s. The screen on the stage showed short films from and about trans* people, and was a really nice feature. It’s a respectfully done exhibition, the language and pronouns used are all refreshingly appropriate, and the balance between a singular narrative, and a wider social and legal landscape is just right. Not long left to visit if you haven’t already. The 2nd Trans Pride in Brighton this weekend was the perfect antidote to my frustrations with last month’s Pride in London. I blogged about it here. Some of the feedback I received from that post was that if I want to feel included, I should volunteer. I don’t think this is necessarily the right attitude to take, suggesting that those who don’t feel welcome should get involved, it’s passing the buck, and saying you are welcome, but we’re not going to go out of our way to ensure you feel it. Pride, and the response I got from someone based on me venting my frustrations, became the anti-Pride. 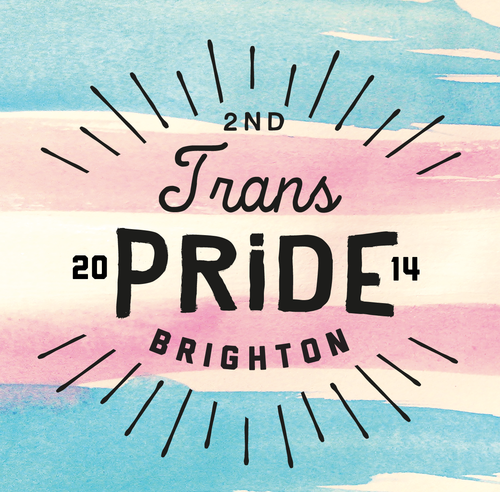 HOWEVER, myself and a friend headed down to Brighton on Saturday for Trans Pride. Building on the success of the first one last year, which I unfortunately only heard about retrospectively so didn’t attend, Trans Pride held events over three days, with a film night on the Friday, a picnic on the Sunday and the main event on the Saturday. Unfortunately, we missed the march due to some train hold-ups at London Bridge, but the march was the first of its kind in Europe. Sarah Savage, one of the organisers, said in her opening remarks that it was emphatically a march, not a parade, as there is still so much to be angry about, as well as lots to celebrate. Caroline Lucas, MP of Brighton Pavilion (and the only MP that I actually have any faith in) said in her speech that ‘tolerance is not enough’ and addressed in particular the dreadful representation of trans* people in the media, and fighting for the opening of a Gender Identity clinic in Brighton and Hove. For me, Trans Pride was exactly what a Pride event should be. It was celebratory, but its undercurrent was one of anger, action and protest. The main stage showcased the talents of various trans* and queer musical acts and spoken word performers, intersected with information about trans* services, including from the sponsors of the event, Broken Rainbow. The environment was relaxed and peaceful, and the crowds that gathered were warm and richly diverse. One of the more moving speeches of the day came from one of the organisers Shabah Choudrey, who spoke about their own frustration at being a trans masculine person of colour at Pride events, and reminded us of the role played by trans people of colour in the Stonewall riots and in queer activism before and since. Trans Pride has no corporate sponsorship. The venue of the event was not bedecked with Barclays flags. It was free to enter, the food and drink stalls were reasonably priced, water was handed out for free. The volunteers and security staff were helpful and even the presence of the police lacked the sinister edge it normally does at Pride events, they seemed to be there to protect those of us there, rather than to control our behaviour. I look forward to Trans Pride growing and growing each year, and hope that as it does, the community spirit and grass-roots nature of it doesn’t dilute at all, and that the voices become more and more and louder and louder. I met so many lovely people who were taking great strides to making the world a safer and happier place for gender variant people, and unlike at London Pride, I came away feeling empowered, inspired, part of something and PROUD. I did, however, get quite sunburnt knees, but that’s no one’s fault but my own. Just thought I’d share this short video that appeared on the Gender Anarchy facebook group. It’s called Transactivations and features two artists, Heather Cassils and Zackary Drucker who use their bodies as artwork, in responses to gaps in art history and silences in conversations around gender identity.